Allison Little came to SEA with years of experience in web design and development, digital marketing, and project management. She is pursuing her B.S. Software Development at Western Governors University, and once this is accomplished, she will continue the fun by starting her Masters. Allison has earned multiple technical certifications and is working towards still more. Allison has known Brittanny and Julie for years, through her mom, Trish Fielder. 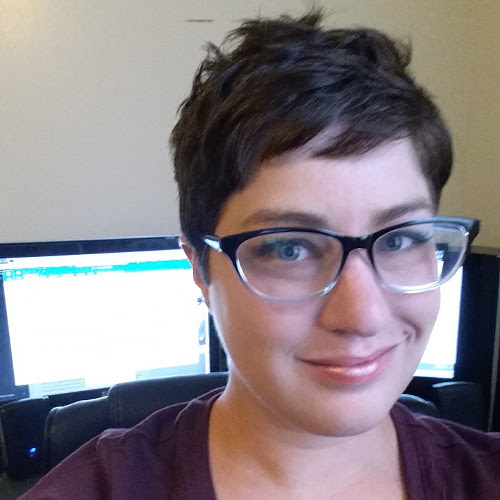 When she learned SEA was looking for a “techie,” Allison jumped at the opportunity. She loves the positive and supportive culture of the company and looks forward to working with them for a long time to come. Allison grew up in Overland Park, KS and now lives in Dresden, TN with her husband Nick and their four pets: cats Elliot, Arthur, and Gwen; and their deaf dog Gracie. In her rare free time, she likes to watch sci-fi shows and do cross stitch. What is your favorite drink? Coffee! I drink waaaaay too much of it. What is your favorite vacation destination? Honestly? I’m not a big fan of travelling. I’m a homebody and would much prefer a “stay-cation”! What kind of music do you like? Anything loud, heavy, and fast! Really though, there’s not much I won’t listen to. Tell us about your pets: I have three cats: Elliot, my grumpy old man; Arthur, a gentle giant; and Gwen, the tiny terror. I also have a dog, a deaf Australian shepherd mix named Gracie who knows a bunch of hand signs and loves showing off her tricks. What’s your favorite weekend activity? Does sleeping count? Otherwise, I love shopping, watching movies with my husband and working on my cross stitch. What is your favorite type of candy? Sour gummy worms! What is your favorite movie? I love all of the Harry Potter movies! If you could go back to talk to your 13 year old self, what would you tell yourself? Hang on tight and enjoy the ride. What are you grateful for? My family! What is your favorite sports team? Rock Chalk Jayhawks! What is your favorite holiday? Halloween! I start decorating in September and don’t take them down until Christmas decorations go up. Fall is my favorite season, and with candy and costumes, what’s not love?